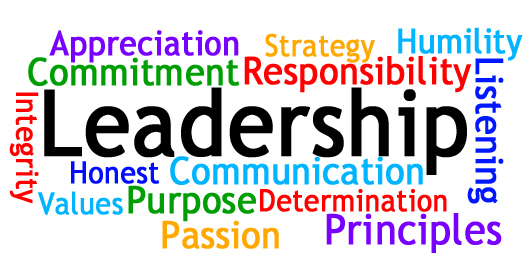 Home/Posts/Uncategorized/Student Leadership Team Basics: How many leaders should you have? My answer often frustrates people. You see, when it comes to my student leadership team, I don’t have a set number of positions. This is an intentional decision on my part. When you have a set number of positions you risk having to fill them with someone – even if that person isn’t necessarily ready for student leadership. Instead of having to fill a specific number of slots, I instead want to be able to have the freedom to put together the best team possible. There have been years when this has meant having a leadership team of 5 students and other years where this has meant having a team of 10. Having said that, there are a few general principles I use to guide my decision about the size of the team. You (or other adult leaders) need to be able to disciple those on your team. If student leadership is really an avenue for discipleship, then it’s size has to be conducive to that. And let’s be honest, as much as we’d like to be able to disciple an infinite number of students well, we just can’t. So follow Jesus’ guideline: There should be no more than 12 students for every one adult leader you have involved in the team. Small isn’t bad. My student leadership team will shrink at the end of this school year. Despite the fact that we tend to measure our success in terms of numbers, I’m not ashamed to say that. We have a big class of seniors graduating this year. This means that our outgoing class of senior student leaders is greater than our incoming number of applicants. That’s OK. It might even be good. Discipleship can often happen on a deeper level in smaller teams. Additionally, it’s often easier to focus smaller groups of teens than larger ones. For that reason, some of my smallest leadership teams have been ones that have actually accomplished the most. Your leadership team should be proportional to the size of your ministry. If you have a ministry of 10 kids, you probably don’t want to have a leadership team of 8. You never want your team to be so big that those who aren’t a part of it feel like the odd man out at youth ministry events. So think about the size of your ministry. Then decide for yourself how big your leadership team should be. Ultimately, whether you have a team of 3 or 20, invest in the teens on your team, trusting that you as do, their faith and ministry will grow.